Broken Spoke Bike Co-op | Looking to make the case for bicycling in your community? Looking to make the case for bicycling in your community? 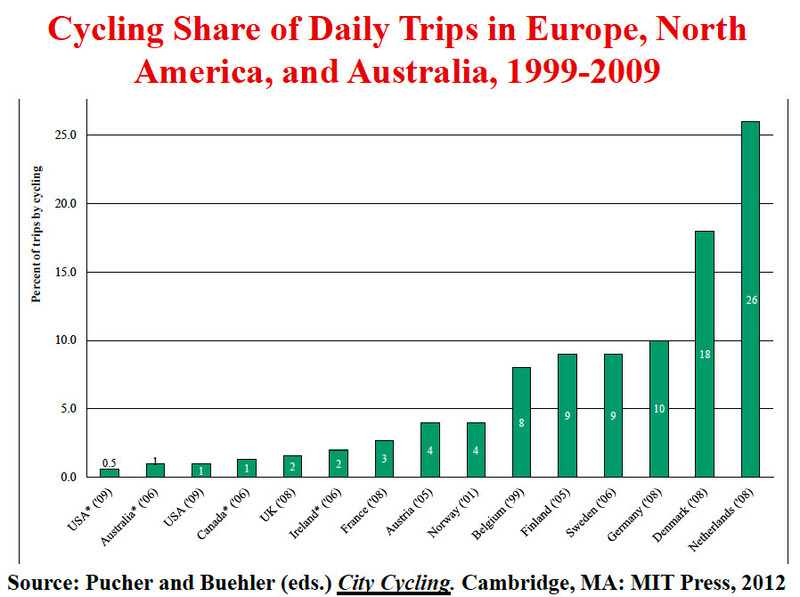 Check out Rutgers University Prof. John Pucher’s recent presentation, “How to Increase Cycling for Daily Travel: Lessons from Cities Around the Globe.” [PDF] Pucher initially presented the information to the Institute for Transportation Engineers and Active Living Research, but the data and statistics are free to share and use to make the case for biking. The presentation includes images from a wide range of bike facilities from around North American and the world, in addition to valuable statistics on protected bike lanes. Here’s an example of what can be found in the report. As you can see, the UK has the lowest participation in cycling of other major cycling countries in Europe. This could (and should) change. What do you say, Oxford? Can we do it?